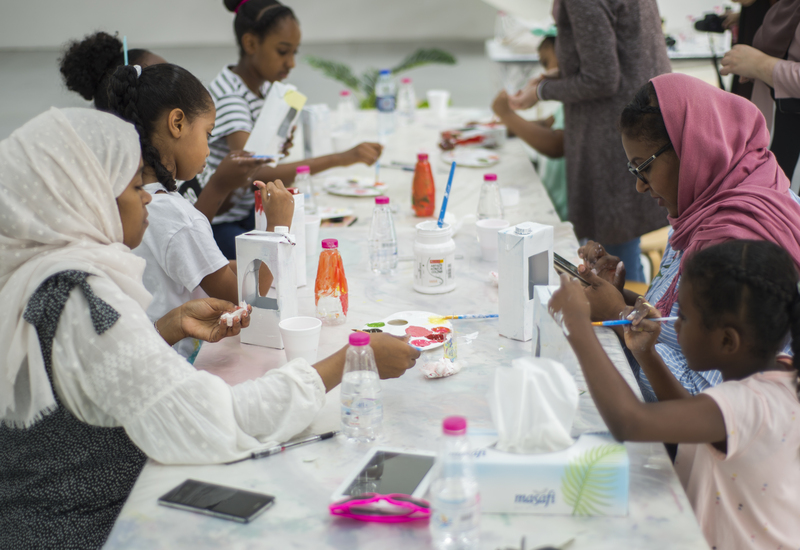 Family workshops aim to strengthen social bonds between children and their parents or companions by offering them opportunities to enjoy entertaining and worthwhile activities together. To make their sun catcher, participants will use pony beads that are opaque as well as beads that are coloured but transparent to let the light shine through them. Participants will thread the beads onto strings so that the beads will form a picture of a rainbow when they are hung together. Participants can stick their sun catcher to a window and wait for some sunshine to bring it to life.